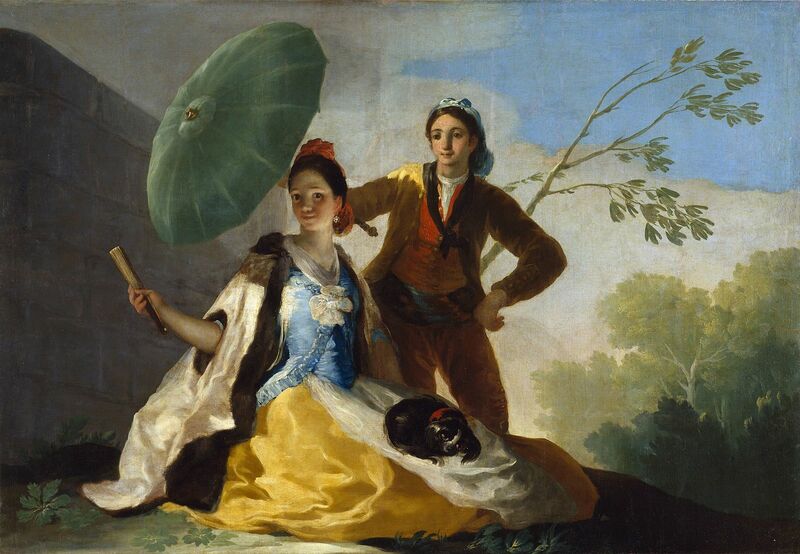 Spanish romantic painter and Printmaker Francisco José de Goya y Lucientes sadly died April 1828. He was born 30 March 1746 in the village of Fuendetodos in Aragon. He studied painting from age 14 under José Luzán y Martinez and moved to Madrid to study with Anton Raphael Mengs. He married Josefa Bayeu in 1773; the couple’s life together was characterised by an almost constant series of pregnancies and miscarriages. He became a court painter to the Spanish Crown in 1786 and this early portion of his career is marked by portraits of the Spanish aristocracy and royalty, and Rococo style tapestry cartoons designed for the royal palace. His late period culminates with the “Black Paintings” of 1819–1823, applied on oil on the plaster walls of his house the “Quinta del Sordo” (house of the deaf man) where, disillusioned by political and social developments in Spain he lived in near isolation. Goya eventually abandoned Spain in 1824 to retire to the French city of Bordeaux, accompanied by his much younger maid and companion, Leocadia Weiss, who may or may not have been his lover. There he completed his “La Tauromaquia” series and a number of other, major, canvases. Following a stroke which left him paralyzed on his right side, and suffering failing eyesight and poor access to painting materials, following his untimely death His body was later re-interred in Spain. Goya is considered the most important Spanish artist of late 18th and early 19th centuries and throughout his long career was a commentator and chronicler of his era. Immensely successful in his lifetime, Goya is often referred to as both the last of the Old Masters and the first of the moderns. He was also one of the great portraitists of modern times. Sadly though After this, Springfield experienced a bit of a career slump which lasted for eighteen years. However She returned to the Top 20 of the British and American charts in collaboration with the Pet Shop Boys on the songs “What Have I Done to Deserve This?”, “Nothing Has Been Proved”, and “In Private”. Interest in Springfield’s early songs was subsequently revived thanks to these songs and the inclusion of “Son of a Preacher Man” on the soundtrack of the movie Pulp Fiction and Springfield staged something of a comeback. Sadly though soon after this renewed success Dusty Passed away on March 2nd 1999, however she has left a wonderful legacy in the form of some great songs. She has also been inducted into the Rock and Roll hall of Fame and the UK music Hall of Fame. American Aviation Pioneer and eldest of The Wright brothers, Wilbur Wright was born April 16, 1867. Wilbur, together with his younger brother Orville. is credited with inventing and building the world’s first successful airplane and making the first controlled, powered and sustained heavier-than-air human flight, on December 17, 1903 at Kitty Hawk in North Carolina. The Wright Brothers spent a great deal of time observing birds in flight. They noticed that birds soared into the wind and that the air flowing over the curved surface of their wings created lift. Birds change the shape of their wings to turn and maneuver. They believed that they could use this technique to obtain roll control by warping, or changing the shape, of a portion of the wing. as a resultThe Wright Brothers designed their first aircraft: a small, biplane glider flown as a kite to test their solution for controlling the craft by wing warping. Wing warping is a method of arching the wingtips slightly to control the aircraft’s rolling motion and balance. World Voice Day (WVD) is a worldwide annual event that takes place on April 16 devoted to the celebration of the phenomenon of voice. The aim of World Voice Day is to demonstrate the enormous importance of the voice in our daily lives, as a tool of communication, and as an application of a large number of sciences, such as physics, psychology, phonetics, art, and biology. It was initiated in 1999 as a combined effort of American and European otolaryngologists and speech and language pathologists, particularly the American Academy of Otolaryngology – Head and Neck Surgery (AAO-HNS) and MD Mario André in Portugal. Now, the celebration of the World Voice Day is scattered around the globe, including concerts, symposia, open house at voice clinics and voice education institutes, TV shows, and radio programs. Easter is a moveable feast, meaning it is not fixed in relation to the civil calendar. The First Council of Nicaea established the date of Easter as the first Sunday after the full moon (the Paschal Full Moon) following the northern hemisphere’s vernal equinox. Ecclesiastically, the equinox is reckoned to be on 21 March (even though the equinox occurs, astronomically speaking, on 20 March in most years), and the “Full Moon” is not necessarily the astronomically correct date. The date of Easter therefore varies between 22 March and 25 April. Eastern Christianity bases its calculations on the Julian calendar whose 21 March corresponds, during the 21st century, to 3 April in the Gregorian calendar, in which the celebration of Easter therefore varies between 4 April and 8 May. Easter is linked to the Jewish Passover by much of its symbolism, as well as by its position in the calendar. In many languages, the words for “Easter” and “Passover” are etymologically related or homonymous. Easter customs vary across the Christian world, but attending sunrise services, exclaiming the Paschal greeting, clipping the church and decorating Easter eggs, a symbol of the empty tomb, are common motifs. 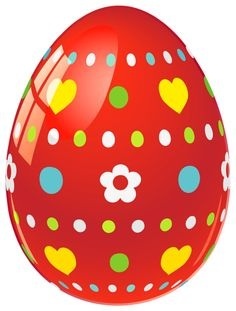 Additional customs include egg hunting, the Easter Bunny, Easter parades and many other Easter releated events. These are observed by both Christians and non-Christians.